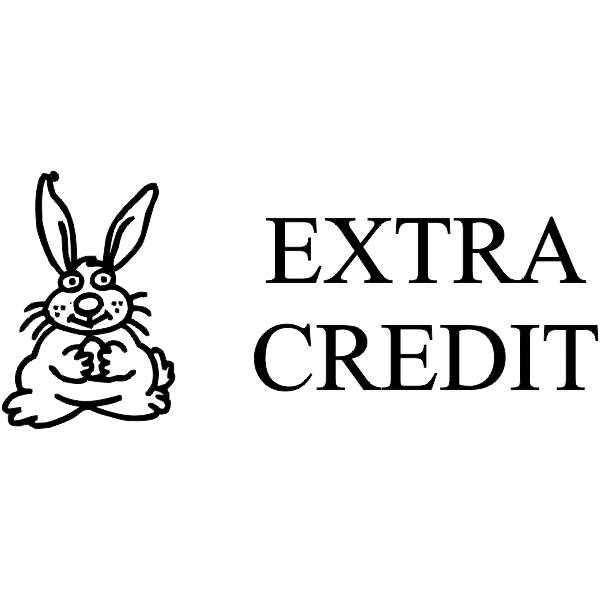 This cute .875” x 2.375” extra credit stamp has a bunny next to the text and is perfect for all teachers alike. 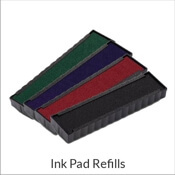 Looking to make a BIG impression? 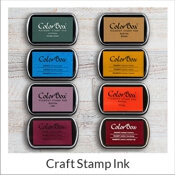 Options are available to upgrade your stamp to a larger size! 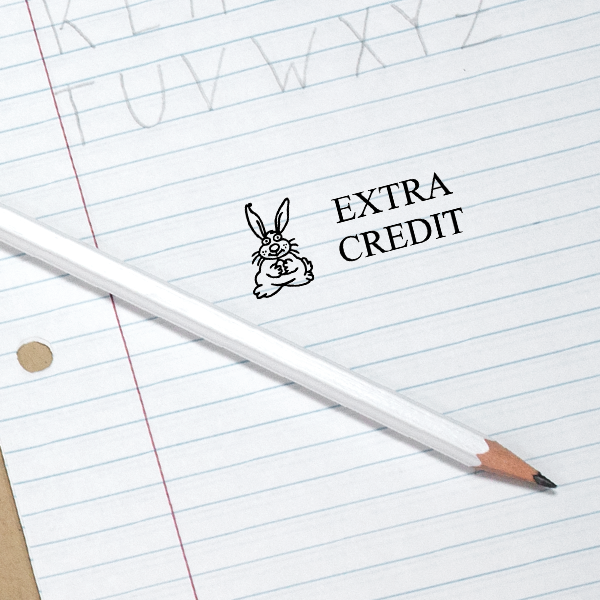 Extra Credit Rabbit Teacher Stamp Details Transform your grading strategy into a well oiled machine! 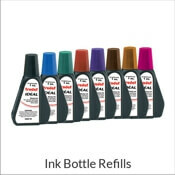 We at Simply Stamps know that being a teacher is a tough job which is why we made up our minds to do what we do best, in order to benefit our beloved school teachers! 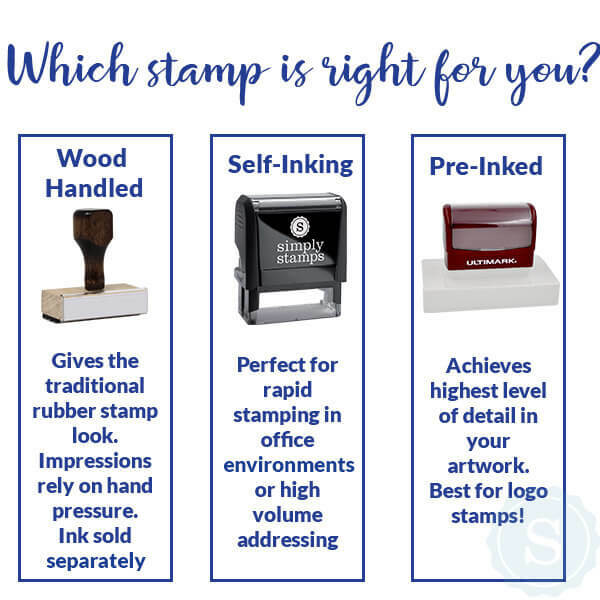 We provide a variety of self inking stamps to help you breeze through your day! 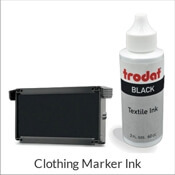 Don’t be afraid to experiment with different ink colors to make an impression! 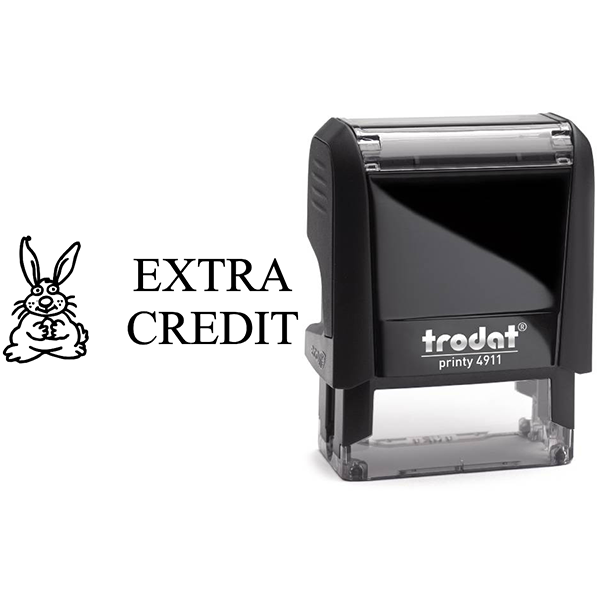 Spend a shorter time grading tests and return to assigning them with the help of this Extra Credit Rabbit Teacher Stamp!